Ford Black Leather Sheath | BUDK.com - Knives & Swords At The Lowest Prices! This black leather Ford belt sheath is perfect for your lockback knife. 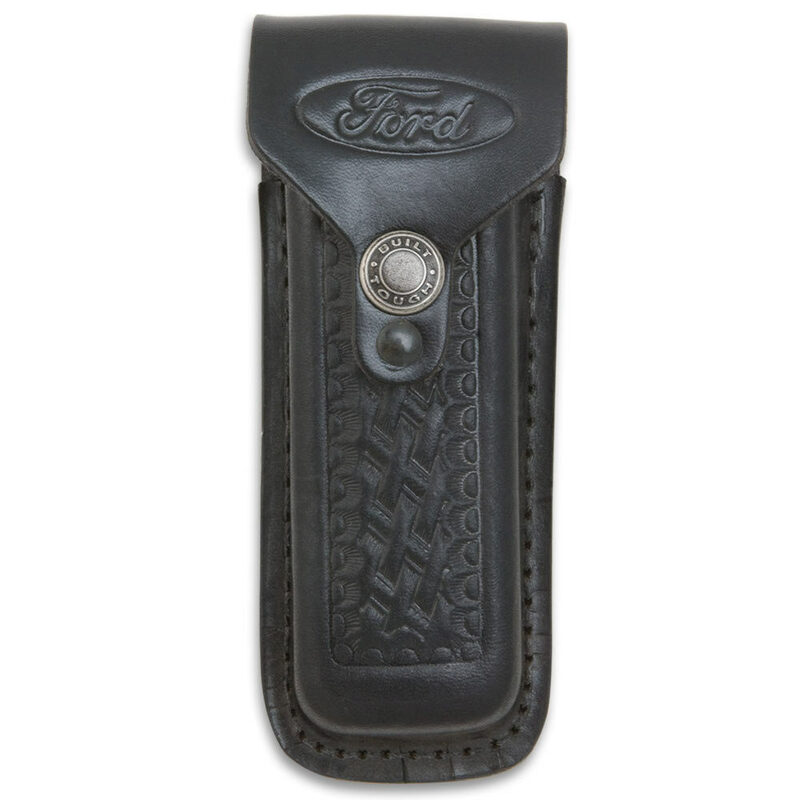 It offers a stamped Ford logo on the front, and a "Built Tough" polished button to keep the sheath closed. Fits folders up to 5" closed.